Universities tagged by the Armed Forces as participating in the "Red October" plot denied the allegation. MANILA, Philippines — Universities responded to the military on Wednesday after soldiers alleged that their students are being recruited by communist rebels to join unsubstantiated plots to throw the Duterte administration out of office. In separate statements tweeted by The STAR reporter Janvic Mateo, De La Salle University, the University of Santo Tomas and the University of Makati all denied that they are participating in the alleged "Red October" plot to destabilize the current government. The military said communist rebels are supposedly recruiting students using film showings on martial law to force President Rodrigo Duterte out of office. The Palace also earlier claimed the opposition led by the Liberal Party is also part of the plan, which the party and the Armed Forces of the Philippines already denied. "It is a big allegation on the university. On our part, we have been in support of different educational needs of our marginalized sectors here in the university," Mark Anthony Abenir, director of UST's Simbahayan Community Development Office, said in a statement tweeted by the school's student publication "The Varsitarian." The military claimed the supposed plan is aimed to force Duterte to declare martial law nationwide, but Abenir said this just makes UST's involvement in the alleged plot questionable. "I do not understand why they are red-tagging the university for standing up for human rights, standing up against the return of any form of dictatorial rule," he said. UST Secretary General Fr. Jesus Miranda Jr. similarly questioned the claim, saying that the military has to prove it. "Siguro i-prove muna nila kung bakit naisama. Ano yung mga proof [at] mga detalye," he said. Miranda added that the AFP might be sterotyping them for being a Catholic university and there is a perception that they are against the present government. For his part, La Salle President Bro. Armin Luistro, who served as education secretary in the previous administration led by the Liberal Party, found it baffling that the military has not reached out to the university before releasing the list. "If there is really something substantial with their report, they would be holding dialogues with school officials, and not release intelligence information to the media," Luistro said. University of Makati President Tomas Lopez also maintained the school has "no knowledge of any student activity linked to AFP's claims." Aside from La Salle, UST and the University of Makati, the AFP also tagged 15 other universities and colleges as allegedly involved in the Red October plot. 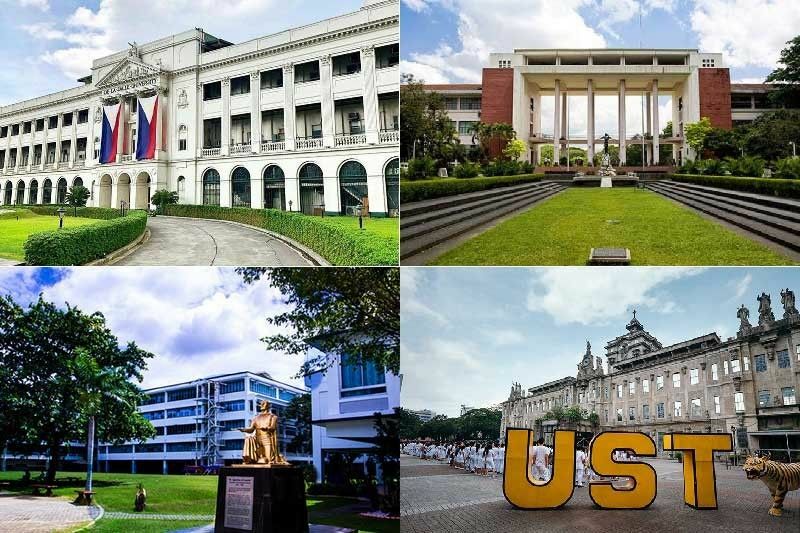 These are Ateneo de Manila University, University of the Philippines campuses in Diliman and Manila, Adamson University, Polytechnic University of the Philippines-Manila, Far Eastern University, University of the East campuses in Caloocan and Manila, University of Manila, Philippine Normal University, Lyceum Philippines University, San Beda University, Eulogio "Amang" Rodriguez Institute of Science and Technology and Emilio Aguinaldo College. The list provided to the media, which was a product of military intelligence, named 18 schools. The military also included on the list a school named "Caloocan City College," which does not exist on records from Commission on Higher Education. The existing local government-funded academic institution in Caloocan City is the University of Caloocan City. Its previous names were Caloocan City Polytechnic College from 1974 to 2011 and Caloocan City Community College when it was established in 1971.